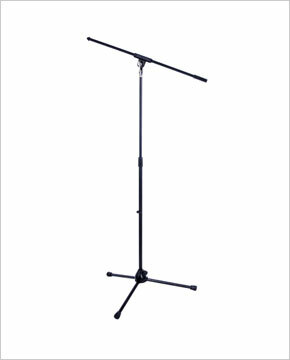 Professional boom stand with die cast aluminum hub and collets. Boom arm is 30 1/8". Aluminum die cast hub and collets for long use and abuse. Die cast collet adjusts heigtht from 39" to 66 1/2". T-handle adjustment for boom tilt adjustment and secure boom positioning. Square boom clamp design with large clamping area.